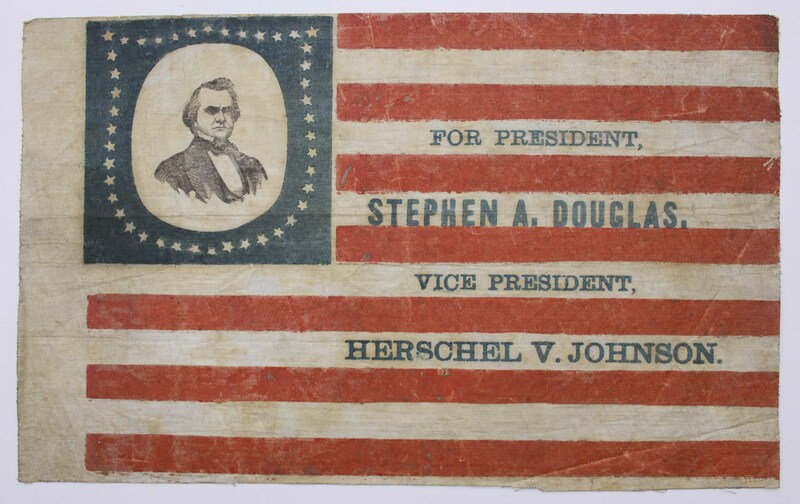 Important remembrance from the most consequential Presidential election in U.S. history, the 1860 contest pitting Democrat Stephen Douglas against Republican Abraham Lincoln. 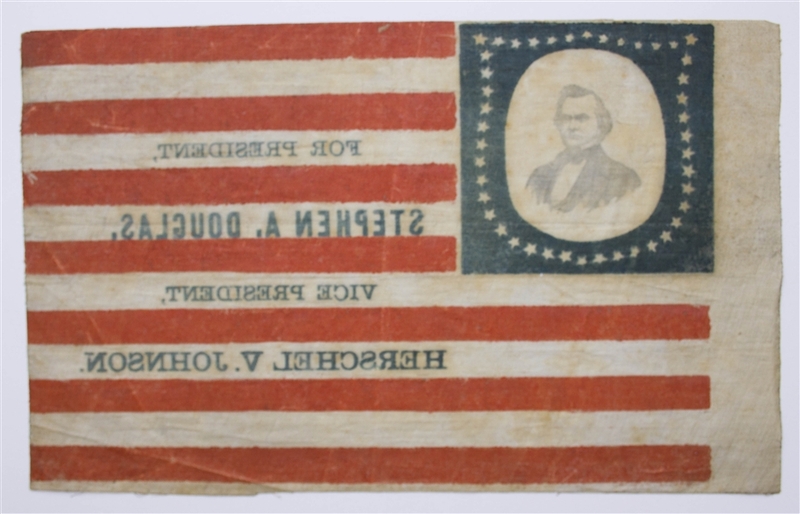 This portrait flag banner, the most collectible banner, features Douglas at top left, center in the star portion of the flag with ''FOR PRESIDENT, / STEPHEN A. DOUGLAS, / VICE PRESIDENT, / HERSCHEL V. JOHNSON'' printed upon the stripe portion of the flag. Banner measures 13'' x 8''. Small amount of creasing at lower right, otherwise near fine condition. An excellent example of this banner, one of less than ten known to still exist.